Moto launched Moto X4 company's latest smartphone in India in X series. Moto X4 comes with a Dual Rear camera and Snapdragon 630 Processor. Here are Top 5 Things you should know about Moto X4. Moto X4 comes with a Glass on front and Rear with aluminum frame on Side which is protected by Corning Gorilla Glass 3. Moto X4 has curved edges on the rear which gives good grip in hand. It has a 5.2-inch Full HD IPS Display. Build Quality of Moto X4 is Good can be used in single hand due to smaller Size. Moto X4 is powered by 2.2 GHz Qualcomm Snapdragon 630 Octa-core processor and 650 MHz Adreno 508 GPU which is Updated variant of Most Popular Snapdragon 625. Moto X4 is the first Phone to come with Snapdragon 630 in India. It comes with 3GB RAM with 32GB storage and 4GB RAM with 64GB of Storage. and 8MP ultra-wide angle with 120° field of view sensor f2.2 Aperture to take images with blurred background, portraits, selective black, and white, there is also an option to change the background. It has Dual Autofocus Pixel technology for faster focus in low light. 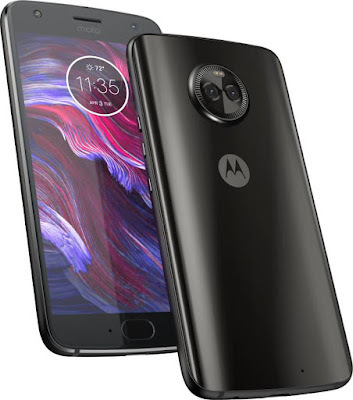 It has a 16MP front camera with a 4MP new adaptive low light mode.Camera performance is Daylight and Indoor is good compared to Lowlight.Moto X4 can record 4K (30fps), 1080P (60fps), 720P (30fps), 480P (30fps). Moto X4 comes with IP68 certification for water resistance, up to 1 m of water for 30 minutes. At this price this one of best feature available which is not present in other phones. Moto X4 is packed with a 3000mAh battery which comes with 15W TurboPower Charger.. 15Min of charge can give 6 hours of power in 15 minutes. It takes around 1 hour 25min to charge Moto X4 from 0-100. Some other features with Moto X4 are You can connect four Bluetooth devices at once. Moto Key which let you store your password or other information Login Apps or Windows Simply log in using your fingerprint. Moto X4 is priced at Rs 20,999 for 3GB RAM model and Rs 22,999 for 4GB RAM model.